The deep cast of Raised by Wolves just got even deeper. 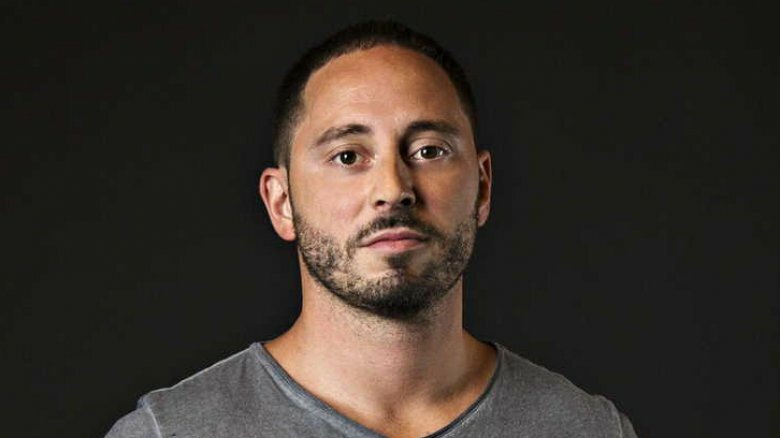 Narcos star Matias Varela has landed a major supporting role in the upcoming TNT series, which will mark the first small-screen effort for Sir Ridley Scott since well before the director became a household name. Deadline reported the news. Raised by Wolves sports an intriguing premise: after centuries of strife have made the Earth all but uninhabitable, a group of colonists take up residence on a mysterious planet, where their children are raised not by wolves, but by humanoid androids called Mother and Father. The robotic caretakers' appointed task of bringing up these children in an environment free from conflict, religion, and humankind's more destructive tendencies — all of which led to the demise of our home planet — turns out to be even more difficult than one would think when older colonists arrive, bringing with them a bit too much of humanity's old ways for comfort. Varela will play the role of Lucius, a soldier whose late father had been a little too kind and gentle in his efforts to prevent the ultimate fate of the Earth. So determined is he to avoid repeating dead old Dad's mistakes that he ends up in the service of an authoritarian figure who not only takes a more hardline approach to preserving humanity, but was actually responsible for his father's execution. Varela is no stranger to conflicted characters. After becoming a television star in his native Sweden, he broke through stateside with roles in flicks like the Point Break remake and the Assassin's Creed video game adaptation before landing the role of real-life Cali cartel henchman Jorge Salcedo on the hit Netflix series Narcos. He appeared in all ten episodes of the third season, during which Salcedo was thwarted in his efforts to break away from the cartel to start up a private security firm with his wife; pressured by cartel higher-ups to remain in their employ, he was forced to continually compromise his principles — up to and including committing murder — or risk paying the price of disobedience. As we reported back in January, the cast Varela will be joining is a stacked one. Leading the series will be Travis Fimmel (Vikings) as Marcus, a warrior hiding a dark family secret which could threaten his standing on the new planet if revealed. Party to this secret is his wife Sue (Niamh Algar, Without Name), a combat medic who agreed to join the colony at her husband's urging, and who will have to grapple with whether she made the right choice. Also among the cast: Amanda Collin (A Horrible Woman) and Abubakar Salim (of the BBC One series Informer) as Mother and Father, respectively; Winta McGrath (Boys in the Trees) as Campion, a non-religious child raised exclusively by the android pair; Felix Jamison (Game of Thrones) as Paul, the son of Marcus and Sue and a late arrival who challenges Campion's faithlessness; Ethan Hazzard (of The Long Song, another BBC One offering) as 17 year-old Hunter, the son of a powerful religious figure back on Earth; Aasiya Shah (ITV's Unforgotten) as a 15 year-old would-be warrior named Holly; and Ivy Wong (Rogue One: A Star Wars Story) as Vita, a fearless 9 year-old who welcomes the challenges of her new environment. Raised By Wolves is the first fruit to come from a deal Scott inked with TNT in 2017, which the cabler hopes will result in an entire block of original sci-fi programming. In pursuing such an endeavor, you could certainly do worse than the mind behind such stone-cold sci-fi classics as Alien, Blade Runner, and The Martian, and if the wildly original premise of Sir Ridley's first TNT offering is any indication, the pact is going to look like an extremely smart move in short order. Scott's statement in the wake of the series' announcement reveals a brain bubbling over with ideas as to the many facets of the human condition ripe for exploration with his serial: "I'm always searching for new frontiers in the sci-fi genre and have found a true original in Raised by Wolves," he said. "A wholly distinct and imaginative world, full of characters struggling with existential questions: What makes us human? What constitutes a family? And what if we could start over again and erase the mess we've made of our planet? Would we survive? Would we do better? Given TNT's impressive run of bold, quality programming, this feels like exactly the right home for this kind of ambitious television." The series will be showran by Aaron Guzikowski, creator of the well-received Sundance TV drama The Red Road, who will also handle some scripting duties. No other writers or directors have been announced, nor has a release date been set — but with its cast fully in place, we can probably expect episodes of Raised by Wolves to begin airing sometime late this year or early next. We'll keep an eye out for more details, and keep you up to date.